Suitable for higher volume stacking jobs, the DCR-ST can cross or straight stack up to 7.87″. It connects between the collator and bookletmaker. 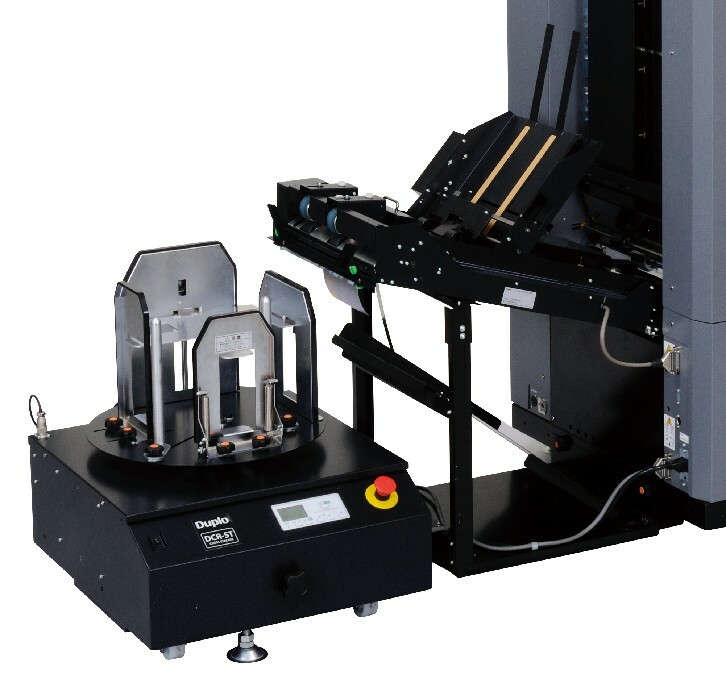 When the stacker is not being used, a bypass bridge redirects the paper to the bookletmaker for bookletmaking without having to remove any devices.